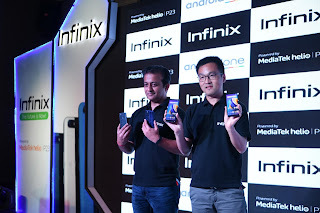 Following the Note 5 global debut in Dubai, Infinix, the online focused smartphone brand of TRANSSION, today announced yet another game changing offering by launching an Android One device in the sub 10K smartphone segment. The all-new Infinix Note 5 is part of Android One program, designed to deliver the top notch Android OS experience that combines Google’s smartly designed software with built-in AI powered innovations like Google Lens & Google Assistant as well as highest grade of security. Making the photography more intuitive, Infinix NOTE 5 is endowed with 12MP rear camera with large 1.25-micron big pixel, f/2.0 aperture with dual LED flash for capturing brighter and sharper photographs in low light conditions. The smartphone boasts of AI based Auto Scene Detection (ASD) feature to enhance overall photography experience in outdoor scenario. When taking pictures, the smartphone automatically detects the scene details like lighting condition, brightness etc. and with the help of its deep learning algorithm, it intelligently matches the best camera parameters to the current scene, producing a perfect photo. The smartphone comes with AI based portrait mode, which identifies Object/Humans and put them in foreground and blurs everything else. It comes loaded with 7 shooting modes namely Normal, Beauty, Portrait, Professional, Panorama, Night and Time Lapse modes. Moving onto the Selfie camera of the smartphone, it is enabled with 16MP f/2.0, with AI beauty mode that produces the best suitable beauty plan for each user by automatically detecting 255 facial points of subject with the help of its deep learning algorithm. Additionally, AI Bokeh measures pixel by pixel as it focuses on the main focal point and blurs everything in the background to make you stand out in the pictures. Infinix NOTE 5 comes with a 4in1 pixel technology for low light conditions in which 4 pixels merges into one pixel and helps in capturing more light for better quality pictures. It also comes with Softlight flash which further enhances selfies even in low light conditions. 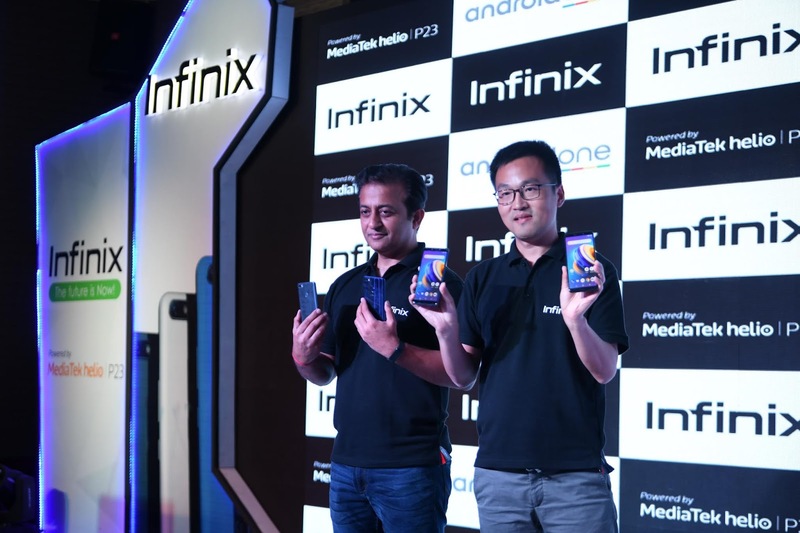 Infinix NOTE 5 is powered by MediaTek Helio P23 MT 6763 2.0 Ghz Octa-Core processor based on 16 nanometer process which makes your device faster and power efficient and hence an ideal gaming and entertainment oriented smartphone. The device also brings Dual SIM, Dual VoLTE solution wherein consumer can enjoy 4G VoLTE services on both SIM simultaneously. The device comes with superfast Fingerprint sensor which unlocks the device in half a second. NOTE 5 comes with 3-in-1 card slot wherein you can put Dual Nano SIMs along with a dedicated SD card which is expandable up to 128GB.